Firenze - 618 Abbott Street, Vancouver, BC, V6B 6N6, Located in the heart of historic Vancouver, diverse cultures and famous landmarks share the stage with some of the city's trendiest spots. 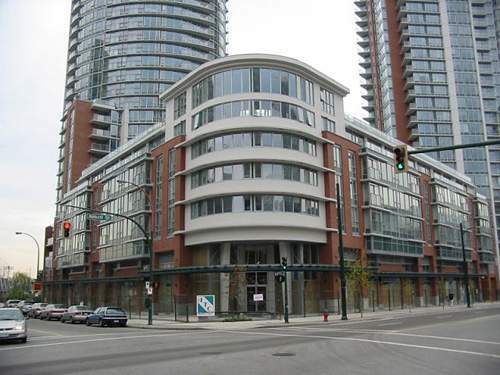 Close to Skytrain, Science World, BC Place, shopping, theatres, restaurants and downtown. The complex features great facilities including indoor pool, fitness room, hot tub, sauna and theatre room. The complex consists of 36 floors with 228 units, developed by Henderson Development (Canada) Ltd and it was built in 2007. Set against the dazzling cityscape, Firenze's sleek towers marry outstanding architecture with contemporary finishes. Elliptical and multi-faceted gray-hued towers, complemented by splashes of red brick, green spandrel glass and aluminum-laced windows, they meet at the complex's elliptical mid-rise, home to the residence's numerous aminities and reatail area.